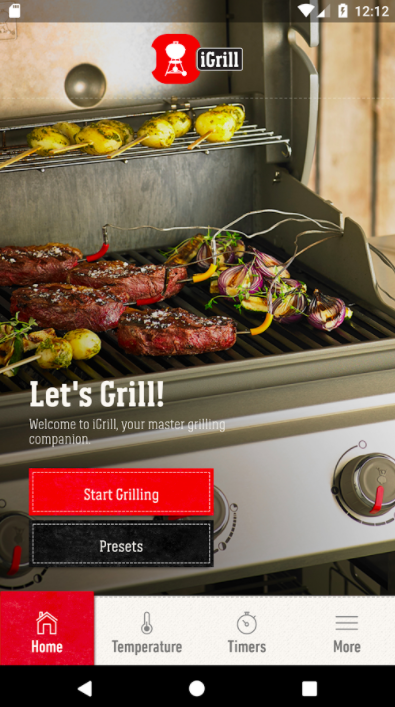 Weber has taken the hassle out of grilling with the newly redesigned Weber iGrill App. Kick back and relax with family and friends while the app takes care of the perfect meal. 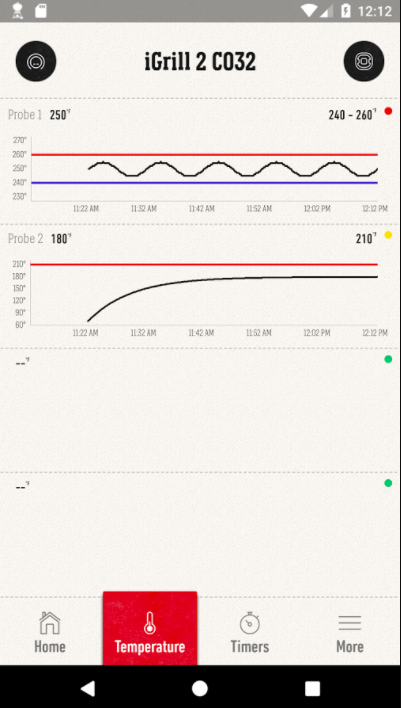 The Weber iGrill App provides quick, no hassle, finger-tip access to timers, temperature monitoring, and more. Following Weber’s acquisition of iGrill in 2016, we wanted to take a good app and make it even better. Based on consumer feedback and the desire to align our app with the quality and usability expected by Weber consumers, we took an iterative approach of introducing new or enhanced features across several smaller app updates. The newly redesigned Weber iGrill App was launched in August 2017 and is available in 14 different languages. The app can be found in the Google Play Store and Apple App Store. Our app is compatible with most Android devices as well as Apple devices including Apple Watch 2 and 3 series! A new user interface that offers a more intuitive design and a step-by-step pairing process including easy in-app connection via Bluetooth. The improved Bluetooth connectivity not only makes pairing a cinch, but also provides a reliable cooking experience from start to finish. 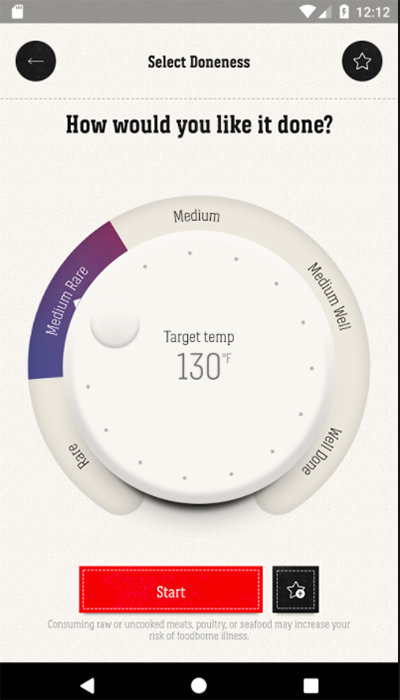 Grillers have the option to grill by doneness, temperature, and range. The app has an extensive library of cuts of protein to choose from including red meat, fish, poultry, and lamb. There is also the option to create a custom preset for a perfect grilling session! Once a cook is finished, the graph data can be exported and saved for future reference. 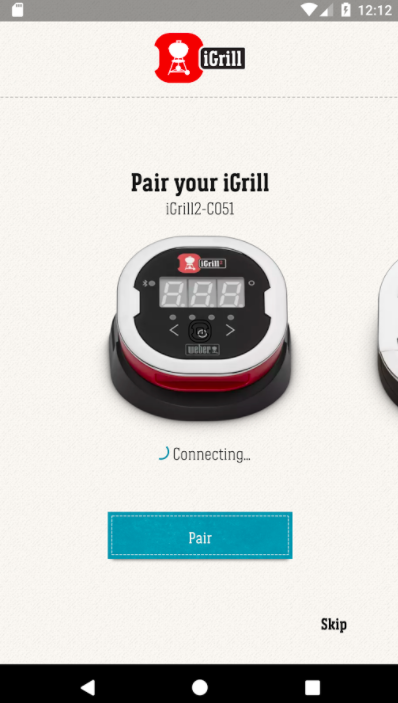 Users are now able to access product manuals and customer support with a few touches in the Weber iGrill App. We are constantly looking for ways to improve our products and our customer experience which is why we added the ability to submit customer feedback directly through the app. We continue to field consumer feedback and use it to mold our app where feasible and appropriate. We frequently release app updates with both new and improved features to continuously provide an excellent grilling experience.